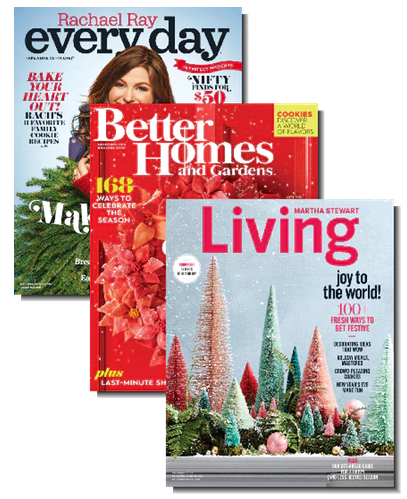 Grab a one-year subscription to Rachael Ray Everyday, Better Homes & Gardens, and Martha Stewart for just $11.99 total when you use coupon code SHESAVED at checkout. That’s like paying just $4 per magazine subscription! And you can order up to 4 years at this price/year. Don’t forget, DiscountMags makes gift giving so easy with their FREE e-card notifications or their postcard options!